When should I start looking? Most parents polled indicated that looking 3-6 months in advance was ideal. This is especially important for parents seeking infant daycare since this is more limited. No, you don't have to look for a 2s program when you're pregnant. What are the different kinds of daycare centers? Here are descriptions of the different types of child care programs in New York State. These programs are regulated by the state Office of Children and Family Services, except New York City-based day care centers, which are regulated by the New York City Department of Health. You can search on the OCFS website for the type of license they hold, ratio and violations. NOTE: Most of the places you'll search will have at least one violation if they have been in operation more than 5 years (e.g., sink doesn't have adequate water; staff immunization records not up to date.) It's important to look to see if the violations are minor or critical and that they have been corrected. Feel free to ask the facility about their violations but know that it's not uncommon for a place to have a violation. Day Care Centers - provide care for more than six children at a time, not in a personal residence. Day Care Center - NYC - also known as group day care programs, are regulated by the New York City Department of Health and Mental Hygiene under Article 47 of the New York City Health Code. Provide care for more than three children at a time, not in a personal residence. Small Day Care Centers - provide care for up to six children, not in a personal residence. Family Day Care Homes - provide care for three to six children at a time in a residence; may add one or two school-age children. The maximum allowable number of children will depend on whether there are and how many infants are in care. Group Family Day Care Homes - provide care for seven to twelve children at a time in a residence; may add one or two school-age children. The maximum allowable number of children will depend on whether there are and how many infants are in care. A provider must use an assistant when more than six children are present. See also this set of descriptions and explanation for caregiver/child ratios. Where can I learn about available daycare? Park Slope Parents has a list of daycare sites used by PSP members. 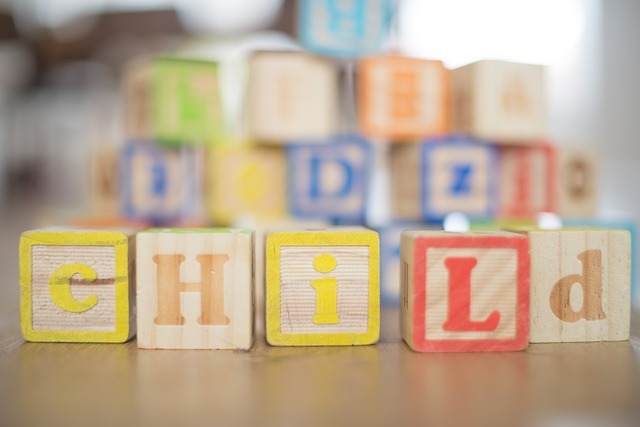 This “heavily annotated” site provides names of local daycares, contact information, and other details that will provide parents with an overview of some of the available daycares. Another useful resource is the Bureau for Day Care in the New York City Department of Health and Mental Hygiene. You can reach them by calling 311 or visit their website. Anyone can review the licensing status of all daycares by entering the zip code for the site. Please note that unlicensed daycare centers can be shut down with very limited notice. It is highly advisable that parents choose licensed daycares. Another feature of this website is helpful links about choosing daycare and contact information for daycare referral resources. One of the referral resources listed in the Bureau for Day Care website is The Day Care Council of New York. Parents can submit an online request for day care referrals within their neighborhood and surrounding areas using this link on the Day Care Council of New York website. The same information can be accessed by calling (212) 206-7818 and asking to speak with a Parent Counselor. This person will send you the names of all licensed day care centers by zip code. This list will include smaller family day care sites in addition to the larger group day care settings. Parents are advised to list as many zip codes as possible, i.e. if you live in the North Slope with a zip code of 11217, include other zip codes in Park Slope such as 11215 or 11234 for Prospect Heights. Some parents opt to enroll their children is daycare centers near their jobs, so these zip codes could be included as well. Word of mouth is another effective way to learn about daycare. Ask other parents to recommend daycares. Sometimes, a referral from another parent will expedite the process of securing daycare. I found some leads for daycare – now what? The best way to start is to call the daycare places that interest you and ask to set up visits. It is advisable to visit as many places as possible and to explore a wide range of options, i.e. large day care centers, home-based day care centers, cooperative daycares, etc. The goal is to learn about what is available so you can make an informed decision. Don’t be discouraged if you leave a message and don’t get an immediate response. You may need to follow-up on a regular basis in order to speak to someone in charge. When I called to set up a visit, I was told that there is a six month waiting list! This is very common, especially when trying to find infant care. Remember that many parents place their names on numerous waiting lists and then drop off as they narrow down their choices. Your goal is to also place your name on waiting lists for prospective daycares, so don’t let the waiting lists deter you from pursuing a daycare option. I am scheduled to visit a daycare. What should I look for while I am there? First and foremost, when visiting a daycare, tune into your intuition and trust your gut. Most parents polled indicated that they captured “a vibe” when visiting a daycare. Start by envisioning yourself leaving your child at this daycare each day. How do you feel? Are you comfortable with this idea? Observe the kids at the site: do they seem content? Are they being closely monitored? Are they receiving warmth and love from the caretakers? How do they interact with each other? Check out the space: is it clean? Is it bright, cheerful and welcoming? Where do the kids eat, sleep, and play? Ask to see the diaper changing area and bathroom for older kids. Are there lots of toys? Are there a variety of age-appropriate toys? Are they within reach of the children? Look at the staff: do they seem to genuinely enjoy being around children? How do they interact with the children? Do they have a sense of professionalism about their jobs? Go outside: is there an outdoor play space? What types of toys are available for outdoor play? Is it secured from outsiders? Think about the location: is it easy to get there from your home? Can you imagine traveling back and forth from this daycare on a regular basis in various types of weather? Spend as much time as you need to do your own assessment. If necessary, make a second visit or send your significant other or someone in your support network to make their own observations. Also, if you happen to see other parents during your visit, be sure to pull them aside and ask for their opinion. What is the provider’s philosophy of care? Does the center follow a specified curriculum? Who develops lesson plans and what is that person’s training? Is there a daily schedule of indoor and outdoor activities, quiet time and active time? Are the adults asking questions of the children and reading to them? Are the children taught the value of diversity through multi-racial, multi-cultural, nonsexist, non-stereotyping pictures, dolls, books and materials? Can the program meet any special needs your child may have? Are there cribs for infants and cots or other rest spaces for older kids? Do some babies sleep in play yards or their strollers? What percentage of children nap during the rest hour? Is it a non-smoking environment? Are smoke alarms, fire extinguishers and escape plans visible in each room or area of the facility? Are there regularly scheduled fire drills? Are there child-proof latches for doors and cabinets? Are all hazardous items, such as poisonous substances, medications, and handguns locked securely and stored away from areas where there are children? Are infants housed a separate location from older children? Are health records, including immunization records and emergency contact information, on file for every child? Are staff members trained in First Aid/CPR? Are there written policies and procedures for reporting accidents and other medical problems? Are there procedures for administering medication and treating illnesses and injuries? Are there hand washing procedures for staff and children? Are diapers changed only in designated areas and is hand washing required both before and after each diaper change? How would the center handle suspected incidents of child abuse by parents, staff or others? Are children supervised by adults at all times, specifically to and from bathrooms, the water fountain, and other classrooms? Are children granted privacy when using the bathroom? Are children released only to authorized persons? Where would children be taken in a city-wide emergency? Do children leave the center for field trips or walks? How often? How are they transported and supervised on these outings? Do they allow children to watch videos? If so, how often? May parents enter the facility at any time? Are teachers and the director regularly available for consultation? How are problems and concerns with a child handled? Is there a parent board or advisory committee? If yes, what is their role? Do parents assist in classrooms or participate in center activities such as fundraising? Is this required or voluntary? What kind of information do you communicate with parents during dropoff and pickup? Can parents hang out during drop-off and pickup? Or do you encourage them to come/go quickly? Are staff state certified or registered? What is the educational level and training of caregivers? Of the director? What is the ethnic and gender breakdown of staff? Are staff required to have physical examinations before they are hired? Are background checks made on all staff before hiring, including any history of physical and sexual abuse? Do the caregivers share your views on discipline and praise? What is the annual turnover rate for caregivers? Why do caregivers leave? How does pay compare to that at other area centers? Are health benefits provided to staff? Does staff receive ongoing training? What is the child/staff ratio for your child’s age and for age groups which your child may move to? Are the stated number of staff in the classroom at all times or do they have non-classroom duties or work shifts? Are substitutes hired when staff are sick or on vacation? Are meals and snacks provided to the children as part of the fee or are they extra? What are the menus like? Are the meals and snacks nutritious? Are special provisions made for or allowed for children with dietary restrictions? Are children occasionally allowed or encouraged to participate in food preparation? Are children required to eat all meals and snacks or to eat only when they’re hungry? What are the daily hours of the daycare center? Are there penalties for picking up your child late? Is there a phase-in period or transition plan to ease the child into daycare? When will the daycare be closed, i.e. holidays, professional development days, seasonal breaks, etc.? What is the closure policy for inclement weather? What is the policy for bringing sick children to daycare? What are the fees for daycare? Are there “sibling” discounts for enrolling more than one child in the daycare center? I’ve visited some daycares and narrowed down my choices – what are my next steps? Once you develop a short list of daycares, it is time to place your name on the waiting list. It is best to make this request in writing, either by sending an email or a letter. This way, your placement on the waiting list is well documented. Be sure to follow-up on your placement on a regular basis. It is possible that you will be #10 on the list one month and move up to #1 the following month due to children who have been placed at that site or opted for another daycare. Ask the director to give you an anticipated start date or propose a start date and ask if your child can enroll at that time. If there is a slot available at that time, you may need to pay a deposit to hold that slot for your child. These deposits range from a one-time fee of $100 to a full month’s fee. All deposits should be refundable with notice. Make sure you are clear about any refund policies, i.e. if a daycare center requires 60 days notice for a refund, it is advisable to make a note of this on your calendar. Is part time daycare available? This varies depending on the daycare. It is important to ask about the availability part time and flexible daycare schedules up front. Although daycare costs less than hiring a babysitter or nanny, many parents experience sticker shock when they hear the fees. Most centers charge less per hour as the weekly hours increase. Therefore part time daycare costs more per hour than full time. Hourly rates range from $8.00 - $10.00 per hour. The average full time daycare (i.e. 40-50 hours per week) will likely cost around $1600 - $2000 per month (updated 2012), but there will be variances and it is best to request information about fees in writing. Are there other fees associated with daycare? Most daycares require that parents provide diapers, wipes, and food for babies who do not yet eat table food. How can I save money on daycare costs? The best way to lower daycare fees is to send your child part time. Although part time daycare is harder to secure than full time, if parents start researching early they may be able to secure a part time slots. Some parents decrease time in daycare by staggering their work schedules, so that one parent drops-off the child and the other does the pick-up. An example of this is having one parent drop off the child at 9am and then work from 10am-6pm and the other parent work from 8am-4pm and pick up the child at 5pm. Schedules can be even more staggered based on the commuting distance for each parent or if one or both parents can telecommute from home. "Not to stress about it too much. There is so much pressure and anxiety that gets wrapped up in it. Find a place that feels like the right fit, has the right schedule for you and isn't too far to go in the morning."" "Don't worry too much. There are a lot of great schools in Park Slope and at some point, any is going to be great, so don't agonize too much about your final few. Also - go with what works for YOU as an adult. Don't be afraid to choose based on schedule or location. If it works for you, it will work for your child. I really believe that, especially since there are so many great options here in the neighborhood." "I think a pragmatic approach is best - there are some exceptional places that are more expensive than a nanny but there are plenty of good enough places where your child will be safe and loved. Make peace with that, and I think it makes the search so much more bearable." "It's ok to choose the program that is most convenient for you, the parent! None of the programs in this neighborhood are substandard--your child will get a comparable education at any of them, and if you can make things logistically easier for your family, you should." "Convenience is good. Space is good - having a yard for the kiddos to run around in, having more than one room so the scene doesn't get stale. If you do want to be involved, make it happen. The teachers did let parents know they are welcome to come to class, give snacks, read a book, but they didn't overly encourage it." "Choose a school that works well for your family's needs. For us, we have 3 children under 3, so location was important to us, as well as a learning culture that fits ours." "Consider all the costs -- and extra work (or mind-space) involved in selecting a program." "No place is perfect and there will be challenges that arise. And no mater where you decided to leave your child it will be hard and at times heart breaking. The only thing you can do is go with your gut when you visit a place, know what is important to you, e.g., size, teaching methods, discipline. Also, be sure to talk to the teachers or providers, often the administrator takes control of the visit, but the teachers and care providers are the one's who will be taking care of your child. The adminstrator rarely see's them, so those are the people you need to be comfortable with. And when you find a location, and providers you like treat them well, there job is hard, so working with them to problem solve and show appreciation and love and turn they will do the same for your child." "IT is hard. We did it wrong 3 times, so I think it is important to recognize when it isn't a good fit and don't be afraid to leave." "Visit them all and spend a bit of time walking around and listening to what's going on. Trust your instincts when talking to teachers/ observing how other kids are coping in these surroundings." "Check out a couple and it is amazing that you can get a great sense of a place." "Every program is uniquely different--public or private. Go visit schools and find the one that hits most of your checklist. Don't simply rely on your friend's advice--check for yourself." "See lots of options to have a sense of what is most important to you. Don't hesitate to ask questions. And do let them know if you're very interested and the school is your top choice." "Tour as many places as necessary to determine the right fit for your child." "Tour as many preschools as you can before you decide. My son ended up in the last preschool we saw after seeing a lot, and this was the best fit for him." "Go and have a look while it is in session and get a feel for it. We did this for my daughter and she chose the one she liked the best and did a very good job too!" "I know some daycares don't allow this for security reasons, but I found it extremely helpful to visit our daycare while children were there during the day. I was able to see the environment first-hand, and gauge how comfortable I felt sending my son there." "Try to visit when there are children there - you can learn a lot just by observing." "Go into the classroom your child will be spending their days at. Speak to the teachers your child will specifically interact with. Talk to the parents of other children in that class. (Sorry, couldn't limit to just one!)" "It's important to visit the school while children are there and see how the place is run and if it's clean. Try to talk to other parents who attend to get their perspective. Ask lots of questions, and go with your gut." "Take a tour and then ask specific questions of parents whose children are currently attending it." "Talk to other parents who send their kids to these programs; don't judge places on tours alone." "I think it's a gut feeling kind of thing! I think there are many good day cares in the area, but they appeal to people differently for different reasons. Do not rest, however, until your child has care that leaves you feeling carefree and like they are safe and happy and in good hands." "I would advise to go with your gut. If you walk into a facility and it doesn't feel right, regardless of the reputation, you need to have peace of mind. With the rise of UPK this year, there are more programs with room than ever before so shop around until you find the right fit for your family." "Go with your gut. I think so much of what makes a preschool/daycare great is driven by personality over curriculum. For us, a Spanish-speaking program was important. But even more important was finding a place where the teachers and support staff were warm, engaged, and caring." "Visit the school, and go with your gut about a good fit for your child." "Listen to your instincts if it's a good fit for your kid/family. Choose your battles." "Listen to your gut feeling and the energy you pick up when you first walk in." "Fit matters a lot-for your kid and you." "Visit a number of places and trust your gut." "If you feel uncomfortable on your tour - trust your gut." "Ask about staff turnover. Consistency and routine are so important to babies and small children. We once toured a place where the head teacher was leaving that week and after we asked around we heard it was basically a revolving door. That was a big red flag for us - if the teachers aren't happy and there's a lot of turnover it speaks to the management of the facility." "Meet the director and teachers and look at the place itself. You should feel for the surroundings and see if the place is respectful to your child's age and size. Will the surroundings help your child to learn in the best possible ways?" "Try hard to find out as much about the teachers of the particular class at the school you are applying to. It really makes a difference if you and the teacher(s) are on the same wavelength about various issues, especially the transition process for first-time attendees." "See if they give the right balance of love and learning and discipline that suits your goal for your child. also see if they are willing to work with you on consistency between home and school." "Don't be afraid to ask questions! Ask lots of questions, even hard questions." "Apply EARLY! Location, flexibility and a safe enjoyable environment with people who LOVE children are key." "Make a spreadsheet to keep the dates organized. But if you find something you like don't be afraid to commit." "Imagine you'd have to spend a good deal of your time there. Would you look forward to going?" "Take the time to understand who is working at the program & how many kids are enrolled, how they have handled DOH inspections in the past, and try to visit when they're open and are working with kids."